Performed by an ensemble of twelve singers and musicians dressed in black on a bare stage, save for ten chairs and some musical instruments, Song of the Goat Theatre’s Songs of Lear proposes that there is an essence of tragedy in King Lear that is not beholden to the formal expectations of modern theater, something powerful that predates and remains independent of the play. The performance intends to tap into that force and release it, without regard for intellectual analysis or understanding, through song and movement. Voices echo one another, clashing then merging, gestures are passed between members of the ensemble in an almost unconscious way, the performers keeping a constant sonic and kinesthetic awareness of one another, a result of the company’s group training regimen. They function as one finely tuned instrument. A performer might embody a character for a moment and then let that identity dissolve back into the chorus of voices. The songs, composed by Jean-Claude Acquaviva and Maciej Rychły, draw on Gregorian chant, the Gospel of Thomas, even an Emily Dickinson poem, in addition to language from King Lear itself. Though these sources, save a traditional Tibetan tune included at the very end, reveal a largely Christian and Eurocentric framework for the supposedly elemental and universally translatable capacity of music, the range of texts nonetheless make the case for a common thread running through many different sources of poetry from at least Biblical times. This is the enduring tragic impulse that Song of the Goat, whose name is the literal translation of the term “tragedy,” picks up and preserves, just as Shakespeare seized upon and shaped that same impulse to his own purposes. Songs of Lear suggests that this essence of tragedy may best be revisited not by endlessly restaging and reexamining the same text, recounting the same plot century after century, but rather by stepping into the emotional center that tragedy embodies and tuning into it together, as the ensemble begins its performance by tuning bodies and voices to the room, the audience, and to each other. In order to know firsthand the passions, desires, grief, and rage shared by humans in tragic circumstances across time—fictional and otherwise, noble and otherwise—we might need to discover our responses together in a theater, a place that should be devoted not to dull repetition or the recitation of literature, but to experiencing, directly and in the present, something very old in a new and unexpected way. This potential for language to evoke a visceral response that transcends logic and meaning and touches something universal and ineffable is almost always described via metaphors of musicality. Where ordinary prose aspires to do more than merely communicate, we say that it becomes poetry, or becomes equal to poetry; and where the beauty of poetry exceeds its literal meaning, we can only compare it to music. 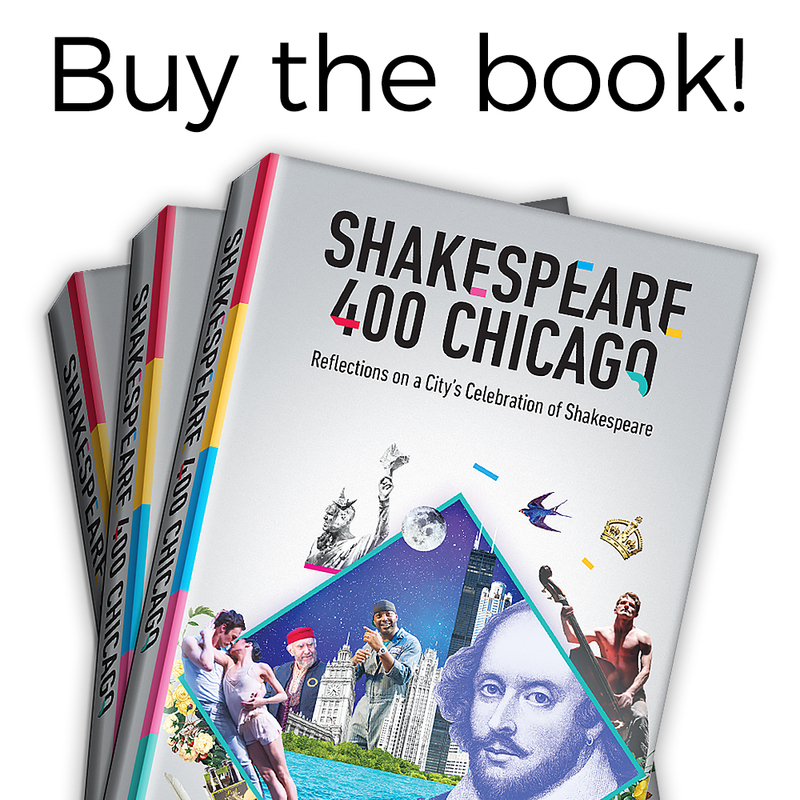 Certainly the popular veneration of Shakespeare takes on these terms—he is not merely a dramatist, but a poet, and where his poetry reaches its expressive apex, it is the musicality of his language that we remark upon. But what does that mean? It certainly does not mean that the words are necessarily to be sung, in fact consigning words to the status of song lyrics can only emphasize the distance between language and music. Instead, our hyperbole suggests that the right words in the right order at the right time might literally become music, break free from the stifling container of syntactical meaning and express themselves as music does, through tone, melody, harmony, and rhythm, and so touch us in the way that music does, that is profoundly and beyond reason. Song of the Goat Theatre was established twenty years ago in Poland by Grzegorz Bral and Anna Zubrzycki. Both are alumni of Gardzienice, the remote Polish theater center founded by students and collaborators of influential teacher and director Jerzy Grotowski. Like Grotowski and the work done at Gardzienice, Song of the Goat Theatre creates work through a collective process based in sustained and ongoing training practices that incorporate voice, movement, rhythm, and energy. They perform as a single choral body engaged in polyphonic song and ensemble movement, aimed at the most concentrated expression of the very human desires, passions, and grief that have defined dramatic tragedy since classical times. In the process, they largely leave behind Shakespeare’s language and the play’s plot. Certainly a few lines from the play find their way in, both spoken and sung, and Bral himself narrates some of the plot, but in many ways Shakespeare’s play, as we know it, is absent. Songs of Lear becomes not a staging of Lear, but a staging with Lear, in relationship to Lear, because of what Shakespeare’s play makes possible. Bral starts the performance quite non-musically, explaining rather informally and without irony to the audience that “theatre is about telling stories,” and declaring that the performance begins with one. Instead of music or theatre, though, his story turns out to be about painting. Bral recalls an exhibition at the Tate Modern museum in London that traced the early career of pioneering modernist master Wassily Kandinsky from the pastoral landscapes and folkloric scenes with which he began to his discovery of the abstract techniques for which he is best known. The exhibition came together for Bral in a large gallery where he could see the progression of Kandinsky’s painting style from the early landscapes toward ever-increasing levels of abstraction, until he arrived at an entirely black painting with some geometric lines cutting across it. Pure abstraction, it seemed. But in context of the gallery, Bral could perceive the relationship of the black painting to the landscapes, even though they had such clearly divergent representational fates, they shared a common origin and the same instigating impulse. This relationship between representational and abstract forms is what Bral promises for Songs of Lear—Lear in twelve paintings, with sound as color and himself, the director, as docent, explaining the paintings as we go. The dozen songs that comprise Songs of Lear are meant to occupy the living heart of Shakespeare’s play, to locate the dramatic impulse Lear embodies, and to remain there, tracing the psychic inner life of the play in absence of recited text and enfleshed portrayal of character. Bral’s commentary provides a tenuous connection, tethering his production to Shakespeare’s play so it does not float off into pure abstraction, just as Kandinsky’s black painting could only be a landscape in relation to his earlier, representational works. By breaking Lear down to song, Song of the Goat Theatre seeks to clarify the play. Not to analyze and explicate it to the point of coherence, but rather to cook it down until it is at its most concentrated and transparent—a stock of Lear, Lear’s flavors with none of the meat left behind, a homeopathic preparation of the play. A Lear not to be seen, but to be seen through, heard and felt and understood in the moment of apprehension not as the play, but as an essence that remains of the play after the performance disappears, an essence that can permeate the boundaries between performers’ bodies, between actors and spectators, and that can flow on into the next embodiment of tragedy in any of our lives or on that, or any, stage. Ira S. Murfin is currently completing his doctorate in the Interdisciplinary PhD in Theatre & Drama at Northwestern University. His research focuses on the relationship between language, perfor­mance, and media across arts disciplines in the post-1960s American avant-garde. He holds an MFA in writing from the School of the Art Institute of Chicago and a BFA in playwriting from New York University.